Here we are again! Today we are interviewing our husbands about legacy, what they see in their family and what they'd like to leave behind. 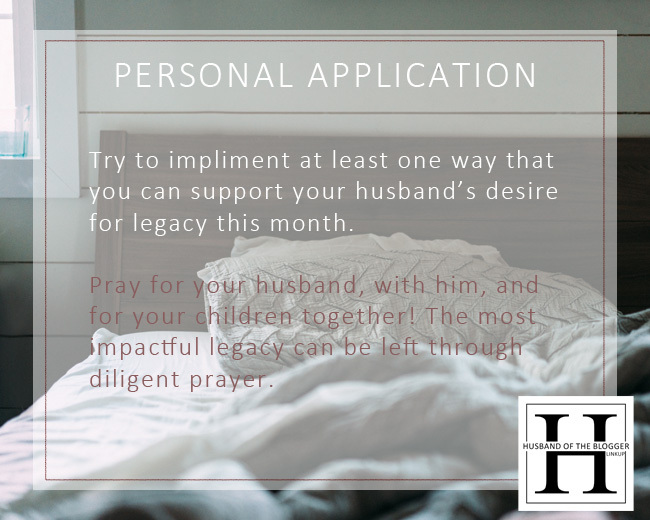 You can join us each month for a new topic we interview our husbands about, so you can get to know them better and perhaps be inspired for deeper conversations with your own husband! 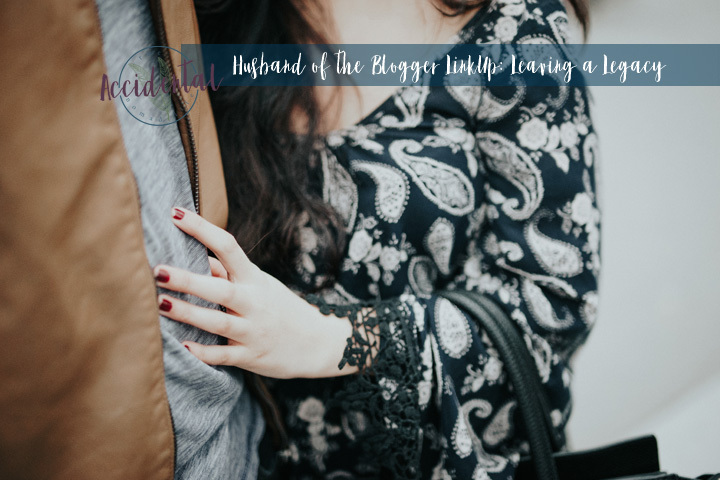 If you'd like to chime in, join our exclusive facebook group, or just pop over to each of the ladies's blogs and say hi: Caitlin of Flannelgraphs, Sarah of Liberty Grace Love, Rebekah of Hargraves Home & Hearth, Crystal of Pennies and Playdough, Hailey of This Life We Love, and Amber of Embrace this Joyful Life . 1. What legacy do you feel that your mother is leaving? My mother? (mouthy grunt noise:) mMm...I guess...so, my Grandma left a legacy of prayer, she was very strong in her prayer life and I think my mom is trying to continue that legacy. 2. What legacy do you feel that your father is leaving? My dad's always wanted to leave a legacy of being a man of integrity. That's always been his thing. I guess that's the legacy he IS leaving. He IS a man of his word; he ALWAYS follows through with what he says. 3. What legacy do you want to leave for your own children? I guess I would like to leave a legacy of being a strong leader in the church. I mean, where the boys are active and well-rooted. 4. If there is one thing that you wish your parents would have helped impress upon you more, what is it? *Chuckles* I guess, the importance of being financially responsible from a Godly perspective. My dad tried to teach me about it but he didn't always put it into practice, like, leading by example. 5. What way or ways can I help support the legacy you want our children to gain? Join us next month for questions about Dating! Take advantage of our questions and have a conversation with your own husband. Chances are you'll get swept away in meaningful conversation!